Mogad'or Best Argan Oil Product of The Year Again! Many people are looking for solutions to their cosmetic problems. Oftentimes these problems are naturally-occurring on the skin surface. They may be due to a number of factors, the most prominent of which is old age. When a person ages, his skin becomes drier and scalier, and the natural moisture and smoothness of the body is lost. This is the reason why so many beauty products are being formulated continuously. Today, argan oil is all the rage. It is also known as Moroccan oil, and it has great cosmetic and medicinal benefits. Why is argan oil the biggest cosmetic outbreak of the 21st century? The answer is simple – it is the complete beauty package. Argan oil is made up of tocopherols, natural vitamin E constituents. Vitamin E is a popularly known cosmetic supplement because its primary function is promoting healthy hair, skin, and nails. Argan oil also has high unsaturated fatty acid content, which is good for the whole body. Unsaturated fatty acids are great for keeping the heart healthy and cholesterol levels down. Apart from these, the natural oils and acids found in Moroccan oil are best used for moisturizing the skin. Because of its highly nutritive and cosmetic value, argan oil has really captured the attention of both skin care manufacturers and consumers. However, the popularity of argan oil has made it yet another ludicrous product, and so many companies are releasing new products which are said to contain argan oil as their main component. How do consumers identify whether these products are really made of argan oil? And how do they know if these products are effective? When buying products with argan oil, it is important to identify what the product is used for. Argan oil is most effective as a moisturizer, toner, and topical treatment for general hair, skin, and nail problems. If you find a product that uses argan oil as its main ingredient but is not really made for these specific purposes, then you should think twice about buying that product. It only means that the manufacturer is fooling buyers into getting their products by using false advertising. Argan oil in its purest form is highly effective. Therefore, it does not need a lot of other secondary ingredients in order to keep its effectiveness and freshness. It is also not advisable to buy argan oil products which have been mixed with toxic ingredients like sulfates, parabens, and chlorides, since these chemicals are not good for the health. 100% pure and preservative-free Argan oil is best to use for your daily skin regimen. Don’t be fooled by the pretty packaging and elegant words on the labels of products. Argan oil is not a $100-deal. It’s a natural oil that can be bought at a fair price of $30-$60 per bottle. Many consumers believe that when a product is more expensive, it has better quality. But some manufacturers out there are just in it for the money. If you really want to get the best, why not try this top argan oil product in the market? Mogad'or is one of the most well-famed beauty product manufacturers in the world. No wonder their argan oil is a prized possession! One of the best features of Mogad'or’s Argan oil is the detailed information that you will find in every box or brochure. Mogad'or reveals all of the benefits and components that argan oil offers, giving you an exact idea of how it can help you and what it can do to your skin. Not only that, Mogad'or pure argan oil is a whole-body package. You can use it on your skin, face, hair nails, and private areas that you want to moisturize and beautify. 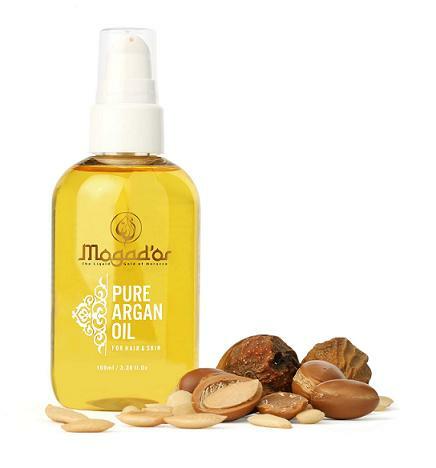 Mogad'or pure argan oil has undergone a process that promotes its freshness without having to add preservatives in the mixture. This means that this argan oil is in its purest form with all of the health-beneficial components intact. Mogad'or also advise individuals who have skin problems to use their argan oil. It is good for treating lifetime eczema, psoriasis, and acne problems. It helps retain moisture in the skin and enhance natural skin rejuvenation and cell production. And you can get this 1-month supply bottle for only $49! Isn’t that an awesome deal? Argan oil has become the little secret of many – from models and hairdressers through stylists, fashionista and to anyone else who really wants to look stellar all the time. This unique oil has been used in the Middle East for thousands of years as a conditioner for hair of all types. Argan oil has become a very popular and even trendy addition to any deep conditioning treatment, as well as as any decent shampoo meant for dry hair. It’s easy to see why it’s become so popular once it was introduced to the West – it’s highly effective, works well with any hair type, and even smells nice naturally! Even though it has only been really discovered by mainstream beauty fans very recently, Argan oil has been a choice remedy for people in the fashion industry for decades. In the West, people who use Argan oil do so as a moisturizing treatment for their hair, especially if it’s dry, color-treated, or otherwise damaged. It’s no wonder why many shampoo, conditioner, and hair styling products now proudly tout the fact that they have Argan oil as a main ingredient in their formulas! you’ll wonder why you haven’t been using it on your face before. 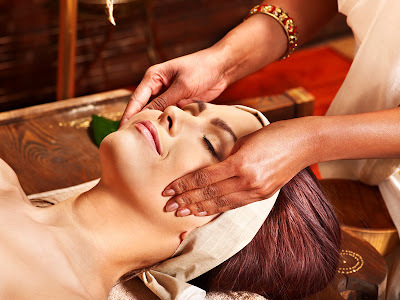 Most people would never guess that Argan oil can be used as a treatment for blackheads, simply because blackheads (as well as all acne) are associated with oily skin. Adding more oil to already oily skin seemingly would exacerbate the problem even more than what initially started the issue, right? However, not all oil is made alike, and some oil is way better for your skin than others. Argan oil is one of those oils that is exceptionally good for both your hair and skin. Oily skin is actually a sign that your sebaceous gland (also known as oil gland) production is not balanced. Your skin is producing way too much oil for it to handle well, and as a result, your pores are getting clogged faster. 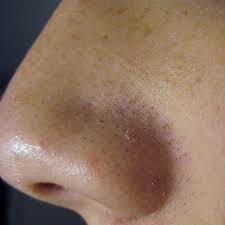 The key to get rid of blackheads is the same as it is with other forms of acne – you need to balance out your skin. Oil glands will react to the right kinds of oil – such as Argan oil – and will slow down your skin’s oil production as a result. Dermatologists that specialize in natural methods of reducing acne love Argan oil because of the fact that it has a natural balancing ability. But what if you have blackheads and you have dry skin? Well, Argan oil is a moisturizer. Moisturizers help dry skin compensate for the lack of oil production, and occasionally jumpstart oil glands into working correctly. Unlike other moisturizers on the market, Argan oil is 100% natural, and also doesn’t clog pores. It’s plant-based, and cruelty free. Since it’s been used for thousands of years, it also has a long track record of success that most lab-made moisturizers will never be able to boast about. What makes Arganolie unique among natural moisturizers isn’t its great track record alone. What makes Argan oil the best pick for people who want to have clear skin is the fact that it works, and has a very attractive scent that will make people want to nuzzle you closely for hours. Sounds a lot better than olive oil, milk, or egg masks, doesn’t it? If you are ready to use Argan oil against your blackhead problem, make sure to buy a bottle of pure Argan oil. Do not get any store-created moisturizers with other additives or chemicals. After all, Argan oil is best in its most pure form. You shouldn’t need more than a tablespoon of oil for your face and shoulders. Simply rub the oil onto your palms and massage it into your face and shoulders slowly. Let the oil sink into your skin. After a couple of hours, your skin will feel and smell great. Itchy, painful, red and silver scales make up psoriasis, an immune deficiency that causes a great deal of stress for all who suffer through this condition. It is often a lifelong skin disease that causes outbreaks of embarrassing scales on the skin. Patients often feel helpless because the medications prescribed to them by their doctors don’t always work. Pure argan oil is a natural treatment solution for the skin patches related to psoriasis. The product is effective, easy-to-use and it doesn’t pose a risk of side effects. Psoriasis is caused by an acceleration of skin cell turnover. Normally, skin cells form in the dermis, or lower level of the skin, and then shed at the upper layer (epidermis). However, if you have psoriasis, the process takes significantly less time—sometimes skin cell turnover occurs in less than one week. As a result, dead skin cells accumulate on the epidermis, eventually creating several layers. New skin cells don’t have anywhere to go, so they can start to itch and hurt overtime. This skin condition is attributed to a problem with the immune system, and it is often hereditary. Psoriasis is usually marked by flare-ups, in which skin patches can occur on any part of the body all at the same time. Although not the most common type of psoriasis, erythrodermic is one of the most serious because increases in blood flows can strain the heart. This condition is marked by large patches that cover most or all of the body at once. Guttate psoriasis develops small pinkish-red patches over large areas of the body. Some of the most common areas include the arms and legs. Inverse psoriasis occurs within the folds of the skin, such as the armpits and underneath breasts. It is further irritated by sweat and friction. Plaque psoriasis is the most common type of psoriasis. The patches are large, and often oval-shaped. Not only do they itch, but they are also quite painful. Plaque-type psoriasis can stay for years without treatment. Pustular psoriasis is the rarest form of psoriasis. Not only is it marked by redness, but it also consists of tiny fluid-filled white bumps. There are two primary forms of psoriasis relief with pure argan oil. First, fatty acids and carotenoids work to balance out the skin’s natural moisture levels. Dry skin can often make psoriasis worse. This is why the daily use of argan oil is so important, even if you aren’t currently experiencing an outbreak. When psoriasis is left untreated, you put yourself at risk of infection. Vitamin E is a powerful antioxidant naturally found in pure argan oil. This ingredient helps to reduce the inflammation caused by psoriasis. You will start to feel relief from pain and itchiness immediately after applying the product to your skin. Vitamin E also naturally decreases the redness of psoriasis, making the skin patches less noticeable. Conventional treatments for psoriasis often include a combination of oral medications, topical creams and light therapy. Although such methods often promise treatment for psoriasis, they can actually exacerbate the problem. This is especially the case for topical medications because they contain chemicals that can dry out the skin patches even further. With the itchiness and pain associated with the condition, chemicals don’t often provide any real relief. Not only can traditional medicines make you feel worse, but constantly rubbing chemicals on your skin is simply not healthy for the body. Anything you place on your body is ultimately absorbed into the skin and through the bloodstream in small traces. If you have the choice, why not choose a natural product that can’t cause your body harm? Pure argan oil does not come with the health repercussions that conventional creams do. The great thing about using pure argan oil for the scalp is that it doesn’t make the hair greasy like other products do. If you are pressed for time, you can still place a small amount of oil onto various spots on the scalp and leave in for the entire day. Repeat the process daily, or as often as needed. Psoriasis is treatable with argan oil, but there are also certain lifestyle factors that can worsen your condition. Frequent stress can cause flare-ups, which only causes further aggravation on your part. Get plenty of rest, and look for ways to de-stress every day. Breathing exercise used in both yoga and meditation can help improve stress levels and improve your outlook on life. You might also find that psoriasis is worse when you eat certain foods. High-fat dairy products, greasy foods and fatty meats are common culprits. For the best results, focus on a low-fat, balanced diet. You might also consider taking a fish oil supplement while using pure argan oil for psoriasis. Argan oil is a natural oil extracted from the native Moroccan Argan tree, and is considered particularly beneficial for use on hair. The many benefits of using argan oil for hair include increased health, shine, and manageability of your locks. Applications of argan oil are versatile, and accommodate a variety of lifestyles, hair types, and personal preferences. Some popular ways to use argan oil for hair include lengthy deep-conditioning sessions, in-shower application, and topical use on dry hair. Deep conditioning is one of the most frequently praised properties of argan oil because it is generally believed to help restore health and shine to dry or damaged hair. The best way to create a thorough, deep-conditioning treatment with argan oil is to first work some oil throughout your hair. Exactly how much oil you use will depend on the thickness, length, and texture of your hair; fine, short hair will need a much smaller amount than long, thick hair. The oil should coat, but not overly saturate, your hair so that it appears damp but is not dripping. Additionally, massaging oil into your scalp during this process can help ease dry or itchy skin. From this point, there are a few additional options using argan oil for hair as a deep conditioning treatment. If you are short on time, you can braid your hair, pull it up, or wrap it in a warm, damp towel, leaving it alone for as long as you can. If you have more time, another option is to wrap your hair in a clean, dry towel and leave the treatment in overnight. Extra hours allow for the argan oil to absorb and nourish. If you decide to leave the oil overnight, it is important not to overlook covering your hair with a towel so the oil does not seep out onto pillows or sheets. A less time-consuming option for using argan oil for hair is to apply it during your normal shower. After shampooing hair, simply work some oil through your hair the same way you would with your regular conditioner. Thick, curly, or coarse hair can benefit from applying argan oil to the whole head, while those with fine for thin hair should probably only apply from the middle of the length to the ends. Leave the oil in for a few minutes to absorb, and then rinse it out. Finally, argan oil for hair can be a great styling and finishing product as well as a conditioner. protects hair from drying out or becoming frizzy. Similarly, smoothing a small amount of argan oil onto hair after styling promotes a smooth, glossy, frizz-free finish. Topical applications are hydrating and healing as well as practical, but be sure not to use too much oil at the risk of looking limp or greasy. The baldness affects mainly males. 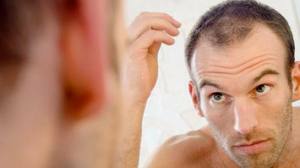 In the men , hair loss usually begins between 20 and 35. However, women can suffer, often after pregnancy, or because a pill is not suitable, or age of menopause. On average, men and women lose between 50 and 100 hairs per day.This is normal! It is linked to at life-cycle of the hair. There is a phase ofgrowth of the hair for 5 years, a phase of growth arrest of a few weeks, then a phase of decline and fall which lasts about 3 months. In the autumn, for 1 month to 1 month and a half this fall is more important than during other months of the year but this seasonal variation shows no abnormality. In general, the falling phase is followed by regrowth. If cons, the final fall is one speaks of ‘ alopecia up to complete baldness. If the seasonal fall fall persists after its normal period of 4 to 6 weeks, or if hair loss is abnormal for several months, there is cause for concern. This may be due to taking certain medications (if this is the case, as indicated in the instructions for amphetamines or anticoagulants) or adietary deficiency (protein, iron, zinc). The stress , an emotional traumaor disease can cause loss of hair. 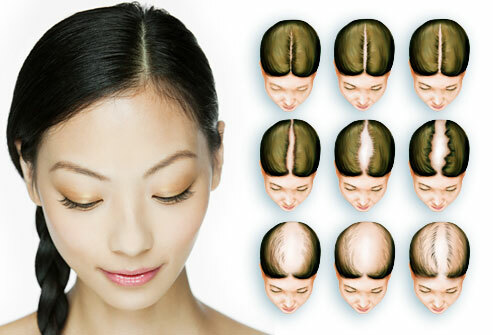 It is better to ask the doctor a complete checkup to find the cause of alopecia. Beware also shampoos too assayed or dyes too frequent literally attack and weaken the hair. But generally the main cause of baldness is an excess of male hormones.This is known as androgenic alopecia. It concerns both the man and woman. In the human , this type of baldness is hereditary and is passed from father to son. So if your father was a victim of hair loss, there is a strong probability that you be yourself achieved. In fact, the male hormone androgen shortens the life of the hair. If these male hormones are produced in excessive quantities, the lifetime of hair is accelerating. Their drop becomes too fast. Regrowth is delayed, is in poor condition or no longer involved at all. Among the women , the androgenic alopecia occurs at the menopausewhen the production of female hormones (estrogen) is no longer sufficient to combat the androgens responsible for hair loss. The same hormonal imbalance that is the case in Women of the scarcity of hair after pregnancy or because of some birth control pills unsuitable. Hair loss is usually less pronounced than in humans. However, the hair becomes more ” lean “, finer, more brittle and sparse. In case of hormonal imbalance due to the excessive proportion of androgen treatment locally based minoxidil or oral can reduce the appearance of baldness. But the result is not 100% guaranteed. Anyway, in case of relative success and once started, this treatment can not be interrupted under penalty of losing the benefit. This treatment ” for life “to also have the disadvantage in some cases side effects or trigger allergies. For its part the natural argan oil is known for its revitalizing action of the hair, especially at its root (radical action). Argan oil prolongs the life of the hair and promotes growth both in men than women, because it stimulates the production of keratin , an essential constituent of hair. Thus the argan oil is the basis of many treatments and hair lotions and shampoos but also available in specialized treatment for a direct action on the roots to the rapid effects and recognized.